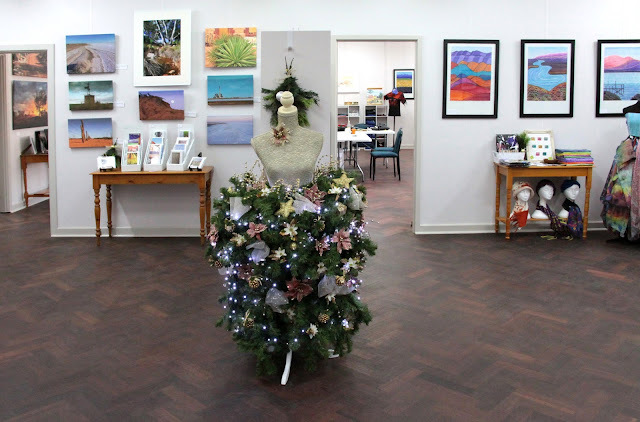 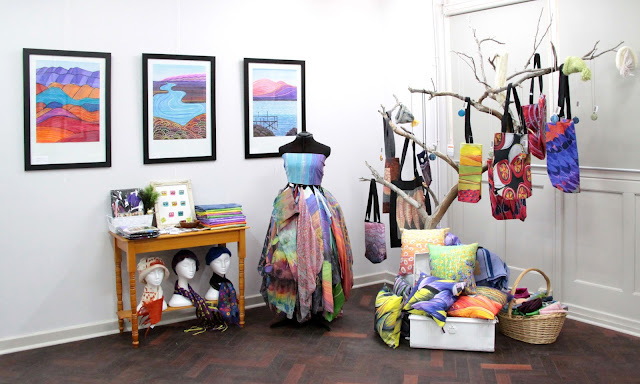 One thing I haven't discussed in this blog is the huge effort that John and I put into re-establishing Curdnatta Art Group and gallery at the new premises in the Port Augusta Railway station. 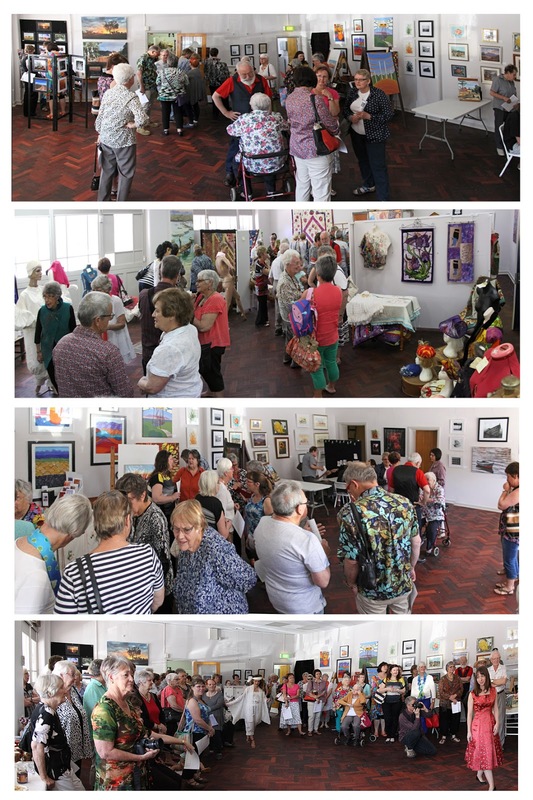 In the middle of Curdnatta's 50th birthday celebrations we were advised that the gallery building and land had been returned to the crown with the intention of selling the land. 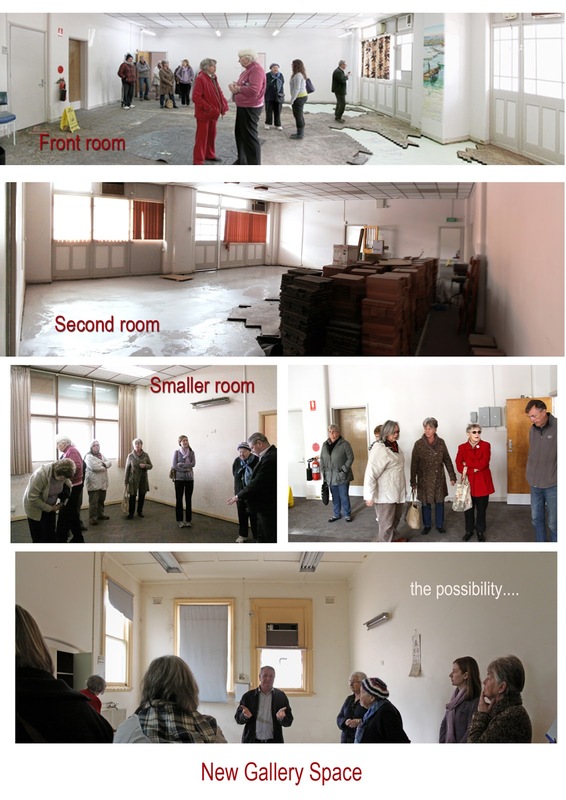 We were also offered the opportunity to move to new premises at the other old railway station. 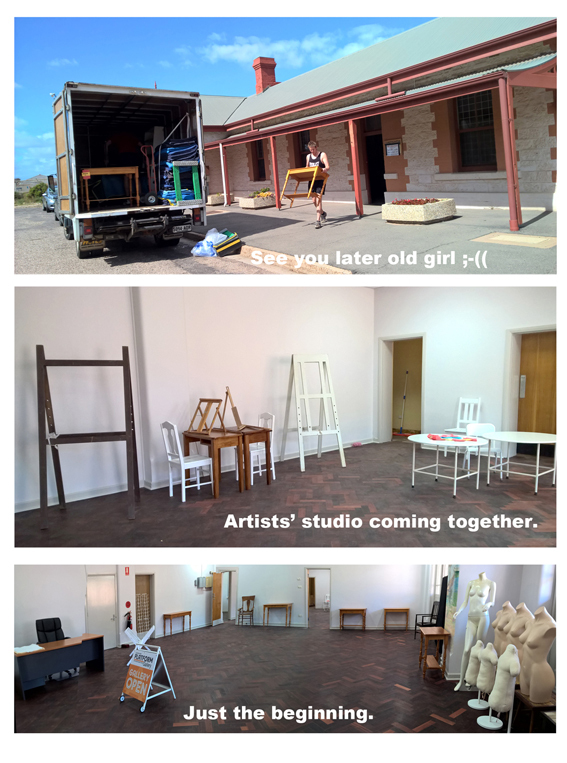 Everyone jumped at the opportunity and we set about packing up the old place and moving into the new premises all within 2 months. 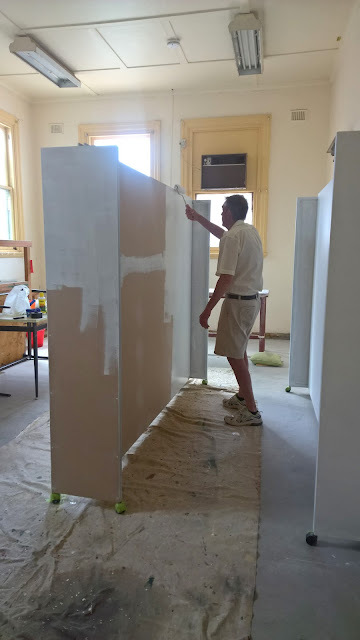 John saw the opportunity for the Music Club to have a meeting room where they could leave some equipment and set about preparing that room for use. 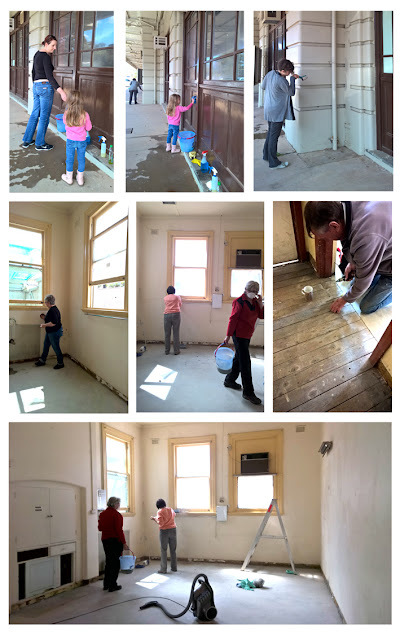 Most of the property was painted and the heritage jarrah parquetry floor was renovated before we moved in but the back section of the building needed a lot of work. 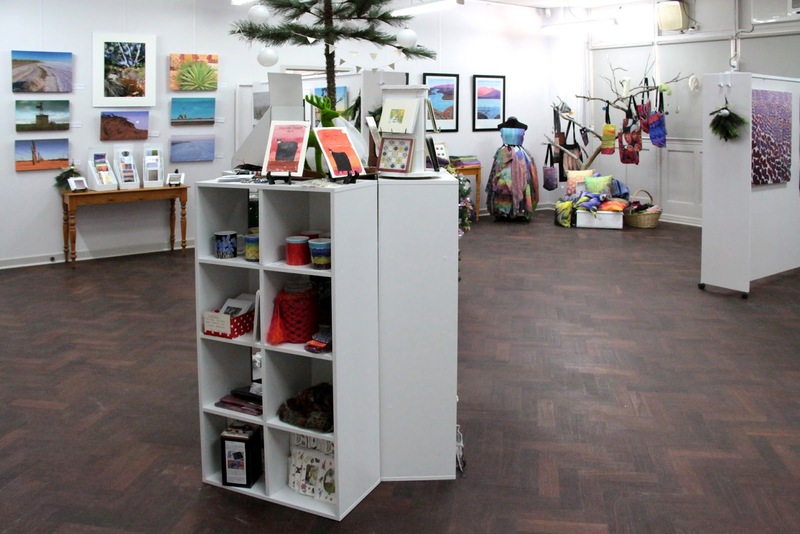 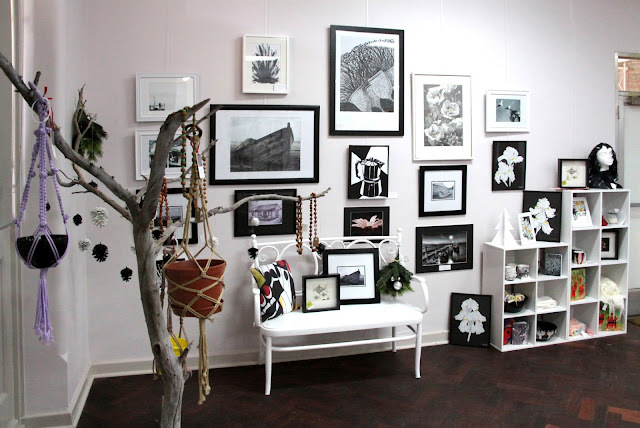 By October we were ready for our first exhibition and by Christmas we had begun to develop a new style for the gallery. In 2016 we look forward to having more opportunities to PLAY in our new art space.